You are here: Home / Events / Wegmans is open for business! 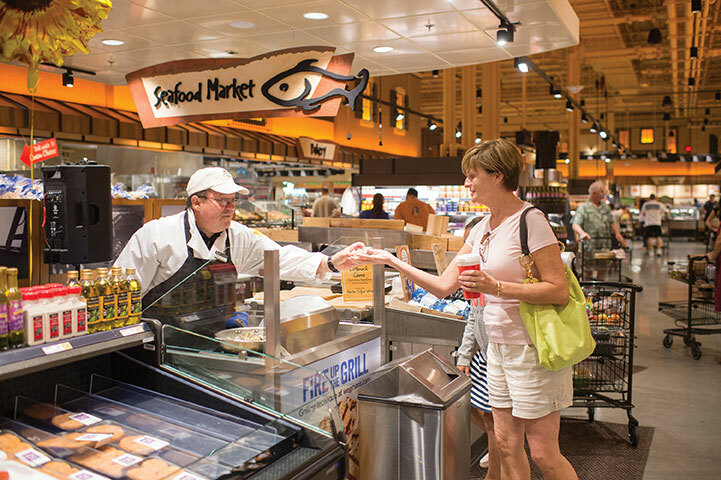 This past weekend, Wegmans opened the doors to its new location just off Route 28 in Chantilly. The 120,000 square-foot store sells groceries, but it also boasts the only Burger Bar in any of its Virginia stores. There is also a pizza shop, the Buzz coffeee shop, the Mexican Station, an Asian bar, fresh baked goods, a flower shop, and more. Opening day saw plenty of people curious to check out our newest neighbor and the crowds were even thicker than the rain. Luckily, there were police officers on hand to manage the traffic flow in and out of the shopping center. Wegmans is definitely a welcome addition to our area, and is sure to be huge hit. The store is located at 14361 Newbrook Drive, off Westfields Boulevard, and is open daily from 6:00am to midnight.